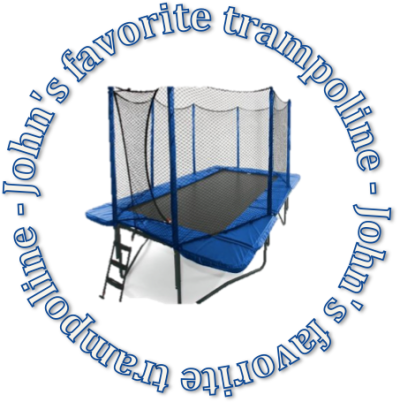 Advantage of Trampoline Workouts (trampoline vs jogging, pool) - Trampoline for Me! Working out can become boring! We all know that. You want to get in shape quickly for summer, you want it to be fun, but an hour in the gym feels like an eternity. You go for a jog, but you feel exhausted quickly. Also, it’s hard and can be monotonous, right? Cardio exercises tend to be that way. They are hard; they feel heavy, but they are truly beneficial. We all should learn to incorporate this kind of exercises in our daily lives, of course, but sometimes we need a quick fix. And it needs to be fun, or we’ll give up as quickly. There are some accessories that provide this kind of fun but exhausting workout. I am familiar with two: kettlebells and trampolines. 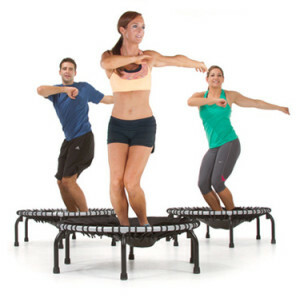 Now, I could talk about kettlebells as well (I’m a big fan) and I actually did a little on the page about losing weight but this website is dedicated to trampolines – therefore I’ll talk about workouts on trampolines. So, if we talk about trampolines vs jogging or trampolines vs pool, we can come to a single conclusion – it is definitely more fun to jump than swim or run. There is a small disadvantage – realistically, it isn’t possible to do it with somebody. Now, who can argue about fun on trampolines? That’s right. Nobody can argue. It’s fun. Period. So, regular jumping, jumping in pushup stance, doing all kind of acrobatics (if you’re up for the challenge) or just plain workout with the help of a small, made-for-workout trampoline, can make a huge difference in your looks, stance, and overall physical fitness. Pros? It’s fun. It’s addictive. It’s a great workout. It can make your muscles work (even some muscles you didn’t know existed). It will move you in a great way. This is a really easy way to practice your posture, balance points, joints, and connecting tissues. Cons? You’ll probably do it only by yourself. If that’s a con. Anyways, I usually workout alone, and so does 80% of people. So if you’re thinking about adding some spice to your life and you’re thinking about trampoline vs jog vs pool, think no more… Go for trampolines. You can’t be wrong – gymnasts surely aren’t. As with running or swimming, I find that jogging (or yogging) and aimless swimming tend to be insanely boring for most of the people when you give it a lot of time. Ok, people do that, I am aware, but that is because of some sense of “higher purpose”, like a healthier life, longer life, being fit… Pick your choice. But a lot of fitness professionals don’t like and some actually don’t recommend these types of activities. Mainly because they are of moderate intensity. What you need for both results and looks is something of higher intensity, or what is called an HIIT (high-intensity interval training). Of course, there is a lot of ways to do HIIT, but that is mostly the most preferred way when it comes with fitness professionals. That is the way I’d go and I do go. How do you recognize HIIT workout? It high in intensity, you don’t and can’t do it for a long period of time and that is the point of it. It means high intensity. And in intervals. It’s simple. Jumping on trampoline serves as a HIIT. If you’ve ever jumped on it a little more aggressive, you know how exhausting it gets when you’re on it actively for more than a couple of minutes. Well, let me tell you that if you plan to work out on it it can get much, much harder as well. And it’s really friendly for your joints and connecting tissues, as I’ve already said, so if you have any pain lifting weights, running or doing something like that, this is definitely the way to go. Of course, if you have a problem with joints, maybe swimming is the good things for you as well, because it puts all the pressure off of your joints. But bear in mind that it is like jogging, of moderate intensity at best and won’t really make you lose weight if that is your goal. This is why the trampoline workout can be better than swimming in a pool. And swimming in salty water is even easier than swimming in a pool. If you’d like to buy a specialized trampoline for working out so you can work out in front of a TV, you can check out this page.